IS YOUR DECK READY FOR THE CAROLINA WEATHER? FIX YOUR DECK WITH HELP FROM THE EXPERTS LET US RESTORE A DECK AT YOUR MOORESVILLE, NC PROPERTY What's even greater than the great outdoors? When you can enjoy them from the comfort of your own backyard deck. Deck maintenance can be tough, but you don't have to handle it alone. 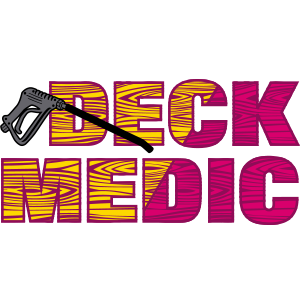 When you need to restore a deck, reach out to Deck Medic of Lake Norman. The mission of Deck Medic of Lake Norman is to restore exterior wood and composite structures, leading to enhanced property values and enriched outdoor experiences. Our work comes with a one-year warranty. When you need to restore a deck at your Mooresville, NC home, let us renovate it quickly and affordably. Call now to make an appointment.